for a wide variety of human diseases . . . 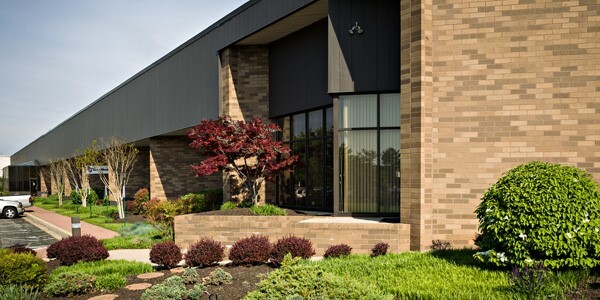 Established in 1988, Washington Biotechnology, Inc. is located in Baltimore, Maryland, U.S.A.
WBI has a long and successful track record of providing in vivo services to emerging biotech and pharmaceutical companies in early stage development. In addition to our wide selection of disease models for cancer and inflammation, we can work with you to develop and validate custom models - with specialized expertise, economical pricing and rapid scheduling. Washington Biotechnology, Inc. (WBI) is a leading In Vivo Services Contract Research Organization (CRO) for drug development. For over 25 years we have provided our global biopharmaceutical clients with rapidly scheduled, accurate and cost-effective efficacy testing services. Our clients drive innovation. We feel privileged to serve them in advancing treatments for human disease. In our role as CRO Partner, we are committed to the highest standards of science and project management. We are continuously expanding and improving WBI's services to support our clients. This commitment sets us apart as "The In Vivo Services CRO Partner of Choice" for non-clinical in vivo efficacy testing. Sign up for our newsletter to receive the most up-to-date information on our services. WBI’s specialized In Vivo Efficacy Testing Services cover four major disease categories – Autoimmune and Inflammatory Diseases (including a separate category for Rheumatoid Arthritis), Cancer, Bacterial Infection and Pain. Complementary services include Pharmacokinetics (PK), Toxicity and Support Services. PLP139-151 peptide-induced EAE Model in SJL Mice - featuring clearly defined disease parameters and scoring in reliable protocols for prophylactic or therapeutic efficacy testing. EAE Rat Model - a myelin basic protein-induced EAE model in rat. MOG35-55 peptide-induced EAE Model in C57BL/6 Mice - a valuable model for assessment of potential prophylactic or therapeutic efficacy in treatment of MS.
See Rheumatoid Arthritis for models. Air Pouch MSU (Gout) Model - a model for human gout built on the well-established Air Pouch Model in mice or rats. TNBS-Induced IBD Model - one of the most effective models for assessing efficacy of IBD treatment. Indomethacin-induced Inflammation of the Small Intestine Model - an excellent model for evaluation of efficacy in treatment of Crohn’s Disease. SLE Mouse Model - where disease development is followed by injection of pristane leading to an inflammatory process resulting in lupus-specific autoantibodies, immune complex deposition and glomerulonephritis. PA-induced Nephritis Model (rat) - induced by intravenous injection of Puromycin aminonucleoside (PA). Antibody-induced Nephritis Model (rat) - induced by intravenous injection of anti-Thy1.1 monoclonal antibody. Caerulein-induced acute pancreatitis – a useful mouse model for evaluation of therapeutic or prophylactic pancreatitis treatments. CON A-Induced Hepatitis - the most important AIH research model; plays a key role in AIH drug development. IMQ Psoriasis Model - designed to rapidly assess therapeutic efficacy within a few hours by measurement of serum amylase activity. STZ-induced Diabetes (rat) - a Streptozocin-induced SD rat model useful for studying the effectiveness of potential anti-diabetic agents. Carrageenan Paw Edema (CPE) - a rapid one-day screen for anti-inflammatory efficacy measured through paw edema. LPS/Cytokine response - a model which evaluates the efficacy of inhibition of endotoxin-induced inflammation by measurement of cytokine release. Collagen-induced (CIA) Arthritis, - the “standard” animal model for evaluation of anti-arthritic activity; an excellent model for RA and hence for early prophylactic or therapeutic intervention in the disease. Air Pouch Carrageenan - through differential cell analysis of inflammatory exudates this unique model identifies possible cell types suppressed by the test compound and hence potential underlying mechanism of drug action. Air Pouch Zymosan - a model considered useful for quantitative measurements and biochemical analysis of the inflammatory process in which complement activation plays an important role. Ovalbumin-induced (OIA) Arthritis - a large animal (rabbit) model for RA with the advantage of synovial fluid measures at convenient volumes. Streptococcal Cell Wall PG-PS 10S (SCW) - allowing evaluation of compound efficacy for acute and/ or chronic inflammatory phases. Two species Test (CIA/OIA Combo) – Combo-testing of CIA in rodents and OIA in rabbits is offered due to the importance of results from more than one species in predicting efficacy for treatment of humans. 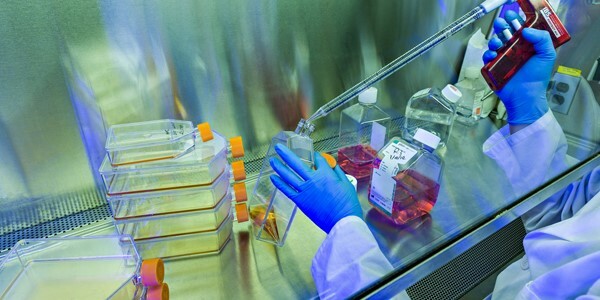 WBI Human Cancer Cell Lines are available for a wide variety of cancers. WBI offers Xenograft, Orthotopic and Syngeneic Models in both mice and rats (infusion). Models include: Breast Cancer, Prostate Cancer, Melanoma, Myeloma, Lymphoma, Liver Cancer, Lung Cancer, Kidney Cancer, Colon Cancer, Brain Cancer and Head and Neck Cancers. WBI scientists provide expert guidance in dosing and routes of drug administration. WBI offers a number of bacterial challenge models including Listeria monocytogenes and Methicillin Resistant Staph Aureus (MRSA). WBI offers basic in vivo models for thermal and mechanical pain responses which may be combined with inflammation models to provide information on analgesic activity in inflamed tissue; and the Formalin Test (Chemical Sensitivity), the most predictive of models for acute pain. Pharmacokinetics (PK) - fast-turnaround and low cost studies with clear and frequent client communications. Start-up within 48 hours of order. Rodents, guinea pigs and rabbits. Toxicity – MTD Studies - including expert interpretation of results. Formulations – to develop a bioavailable, stable and optimal dosage form for a specific administration route. 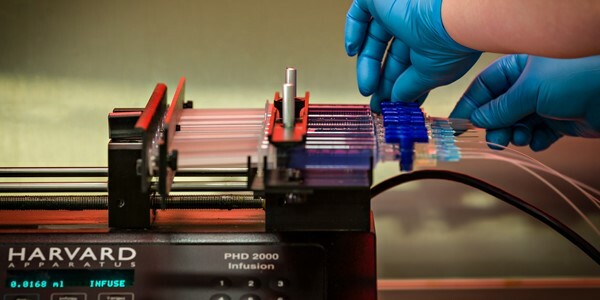 Other services including: Tissue Culture, Bacterial Culture, Cardiovascular Screen Services, Clinical Chemistry, Cell Counts and Differentials, Necropsy and Histology.